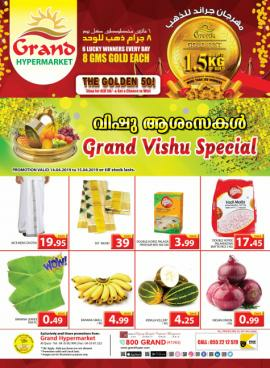 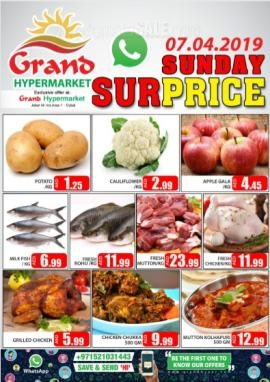 Midweek Offers at Grand Hyper Muhaisnah 2,(Sonapur). 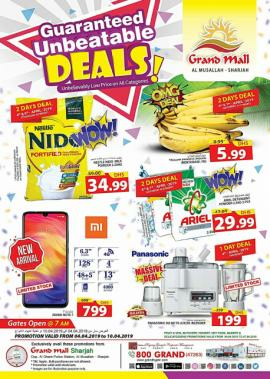 Promotion valid from 22nd to 24th April 2019 or while stock last. 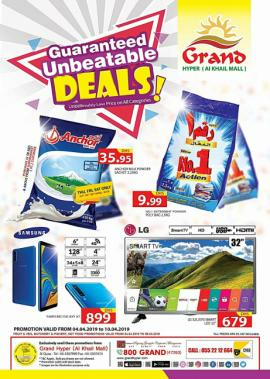 Midweek Offers at Grand Mini Mall. 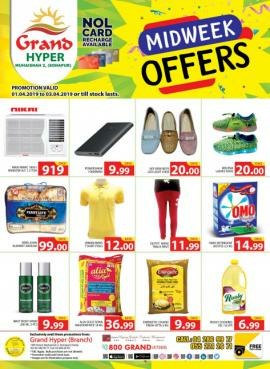 Promotion valid from 22nd to 24th April 2019 or while stock last. 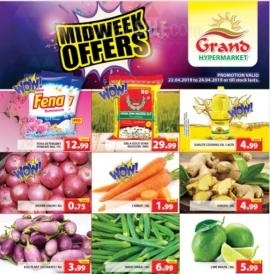 Midweek Offers at Grand Hypermarket. 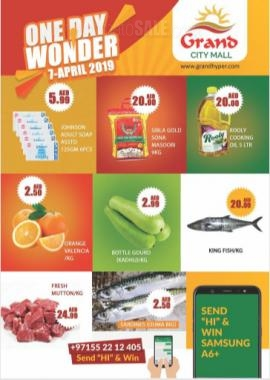 Promotion valid from 22nd to 24th April 2019 or while stock last. 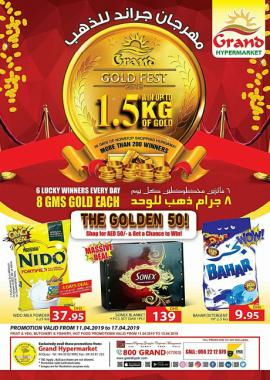 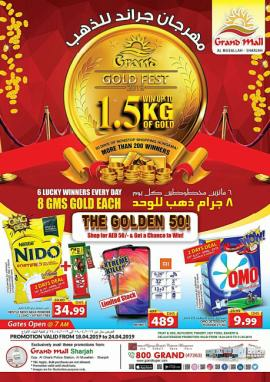 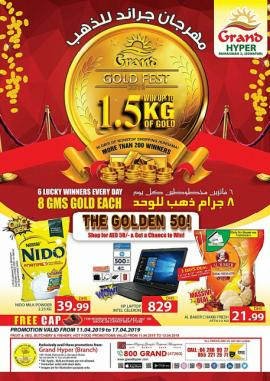 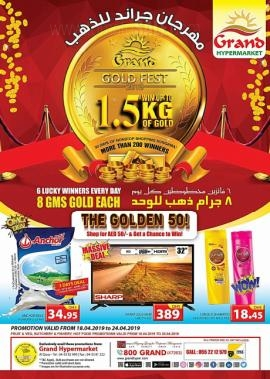 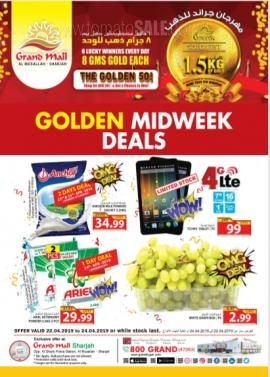 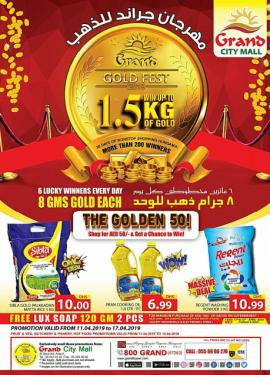 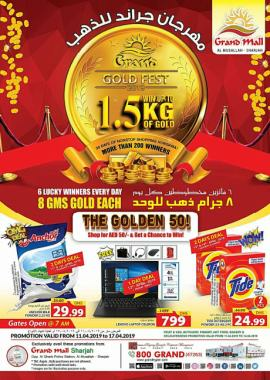 Golden Midweek Offers at Grand Mall Sharjah. 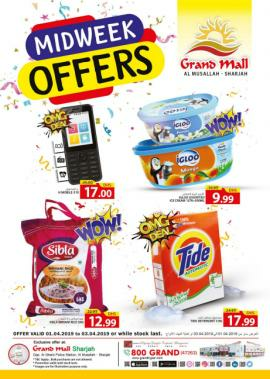 Promotion valid from 22nd to 24th April 2019 or while stock last. 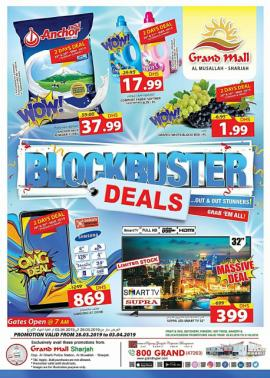 Grand Blockbuster Deals. 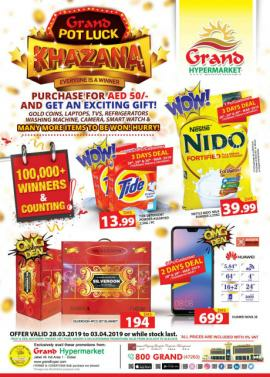 Offer available Grand Mall Sharjah. 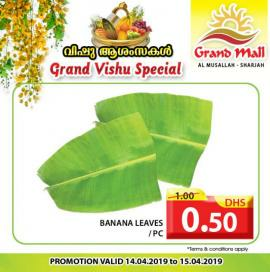 Promotion valid from 28th March to 3rd April 2019. 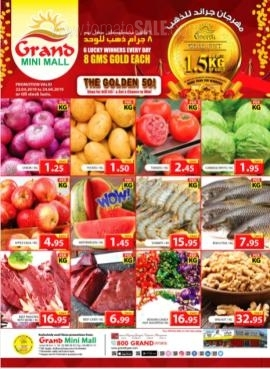 Midweek Offers at Grand Hyper Muhaisinah 2 (Sonapur). 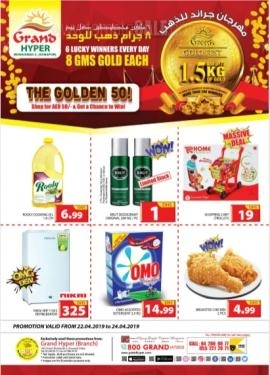 Promotion valid from 1st to 3rd April 2019 or while stock last. 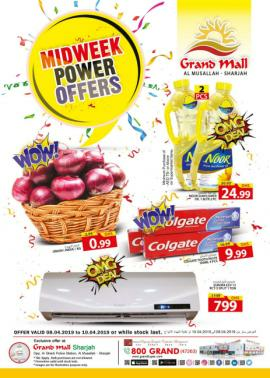 Midweek Offers at Grand Mall Sharjah. 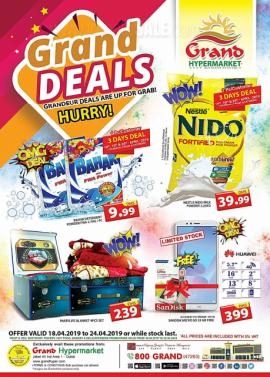 Promotion valid from 1st to 3rd April 2019 or while stock last. 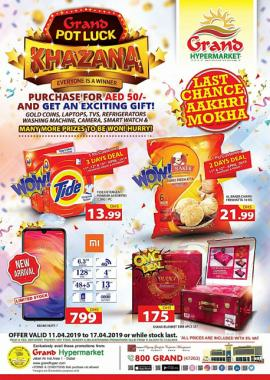 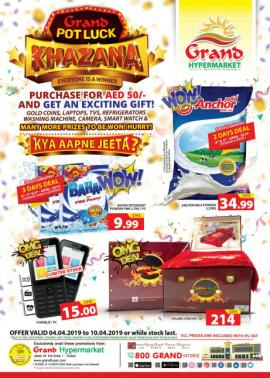 Get all information about Grand Hypermarket Dubai offers, Grand Hypermarket Special Offers, Grand Hypermarket latest offers in UAE, Grand Mall Sharjah offers, Grand Hypermarket sale in Dubai, Grand Hypermarket catalogue, Hypermarket offers and Grand Hypermarket Sharjah promotions by browsing through TomatoSALE.